See if you have what it takes to run your own business! We’re excited to be recognized as one of the top franchise opportunities in the world today. 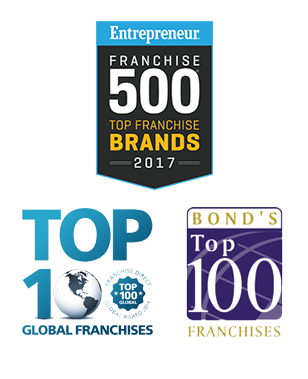 WSI has set the standard for white collar franchising and we’re proud to be among an elite group of companies in the franchise industry. Our top franchise rankings are a testament to the dedication of our WSI Corporate team and the first-class support they deliver our network day in and day out. It’s no easy task maintaining this high regard year after year among other credible franchise companies, so we take pride in our hard-earned status. There are no secrets: you need to find out if WSI is a good fit for you, and we need to make sure you’re a match for us. Due diligence is in the best interest of both parties. To simplify things, we’ve laid out the complete discovery process for your entry into the WSI system. As we continue to grow our global footprint in the years to come, we are excited about the opportunity to align with many talented people. Perhaps you’ll find that partnering with WSI is the right fit for you. The exploding digital marketing industry offers you a unique opportunity to capitalize on one of the fastest growing trends in history. Low fees and very little overhead allow for a quick start-up, so you’ll be well on your way to building a significant business in no time flat! Since 1995, WSI has been on the leading edge of making businesses more profitable through the implementation of highly effective digital marketing strategies. With offices in over 80 countries, WSI is literally the largest Digital Marketing network of its kind. Over that last 20+ years we've worked with over 100K clients worldwide to deliver their digital marketing solutions. Executives manage their days. WSI Consultants LIVE them. The efficiencies and success of our proven systems and solutions will allow you to realize the life you desire. Spend time with family - build a business with family. Achieve balance, stay fit, participate in the world around you, and take control of your independence and your freedom. Over the years, we’ve made some powerful friends. By partnering with WSI, our friends will become your friends. WSI works with over a dozen major partners - each industry leaders in their segment of digital marketing. 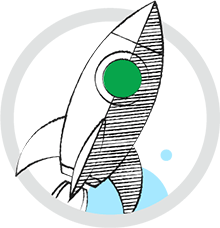 Partnerships with Google, HubSpot, ReachLocal, and Adobe give WSI Agencies the leading edge in areas ranging from paid search, social media, marketing automation, email marketing, eCommerce, and mobile marketing. These are big names within the digital marketing industry, and all of them work with us to create new and exciting opportunities for our network. Oh yeah, our network! There’s power in numbers there, too, and WSI’s most successful agency owners love to support and encourage their fellow digital marketing experts. Read more about how the power and strength of the WSI network can be a huge asset to your business. Since our founding in 1995, we’ve gained vital knowledge and experience (not to mention awards!) about both the digital marketing industry and franchising. In short, we know what we’re doing, and we know exactly how to help you start a successful business. 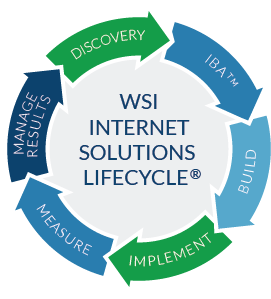 WSI's proven system, INTERNET SOLUTIONS LIFECYCLE®, is a process geared toward guiding you along the path to independent profitability. Find out more about our proven and successful franchise system or make your way through the information on this site to discover whether a WSI franchise is a good fit for you! Compared to other franchise opportunities, WSI requires a very low financial commitment. But the potential return on your investment remains as high as you aim! A WSI business is yours to run and, along with our world-class support, there’s no limit to your earning potential. In terms of control, it’s having the freedom of being your own boss with the support of a brand, a network and a proven system behind you. 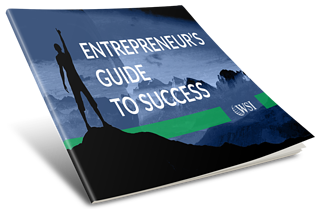 Read on to find out everything you need to know about joining the WSI network. We never take it lightly when our franchise or a member of our network receives an accolade. 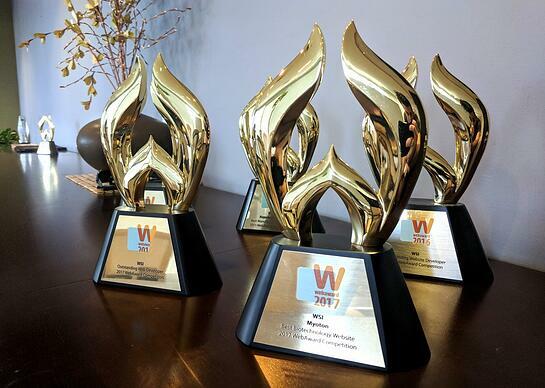 Every award we win is a testament to our company, and another reason for you to choose WSI to help you start your business. Due to the size of our network, we’ve also had the pleasure of helping numerous global brands across various industries. Why Own A Digital Marketing Business? There’s one common motivator for people who start a business: opportunity. You're here because you want an opportunity to change something in your life and work for the better. We’re here to determine whether a digital marketing business can help you achieve those goals.